THE HIDDEN and LONG FORGOTTEN SECRETS OF THE MORNING STAR! SHALOM MI ACHS and MI ACHOTI! Hereafter find herein words SO VERY IMPORTANT unto the SALVATION of MANKIND that though this presentation is NOT as I usually would present INFORMATION on this site, I found it imperative to release it NOW! These are MY PERSONAL NOTES! Many of the ideas surely can in revealing so much FUNDAMENTAL can be elaborated upon MUCH FURTHER than what is presented here! I’m in a rush right now. Things to do. All that is written hereafter it is possible to offer much greater elaboration. But NOW is the time to release this message. It is all to be uploaded to this site momentarily! ….,. NOTE! THIS IS A WORK YET IN PROGRESS! …. Read herein a word-study of wisdom granted unto me for them who are blessed with the gift from above to discern and confirm it! It is a word for the humble soul who would seek truly all the everlasting pure righteousness of the One Most High! NOT the USUAL WAY I PRESENT ON THIS WEBSITE. I AM MAKING AVAILABLE TO YOU SOME OF MY PERSONAL NOTES ON THIS TOPIC! CONSIDER! REVELATION 21:12-21.. Isaiah 48:1-10, Hebrews 3-4 .. YAH WARNED HIS PEOPLE who had NOT YET discerned REVERENCE for HIM, “DON’T DRAW NEAR to the MOUNTAIN lest I BREAK OUT against YOU!” (Exodus 19:12>-20-23) I know you are coming out of IRREVERENT EGYPT! But YOU will NOT come NEAR unto ME, MY MOUNTAIN nor into MY KINGDOM UNrefined! .. AGAIN! (Rev.7:2, Isaiah 30:18, Ezekiel 20, 37?) 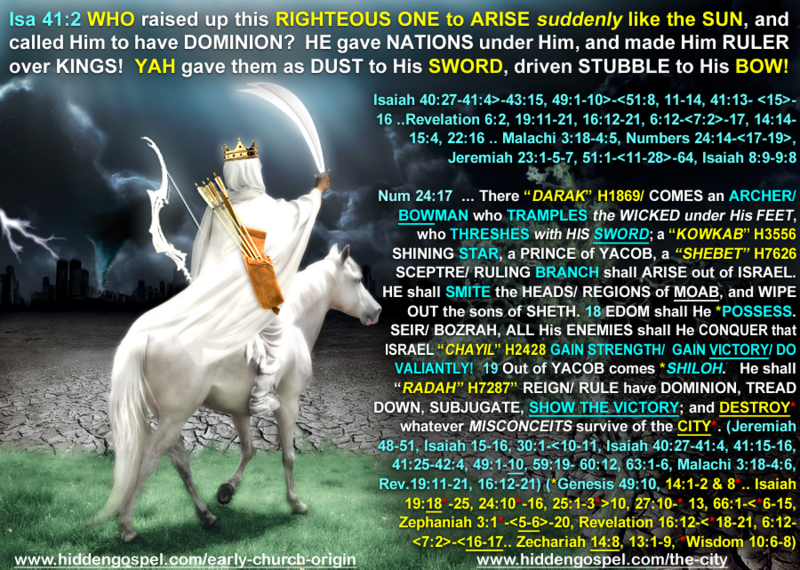 (Acts 3:18-23 … Genesis 49) (Hebrews 3-4) YEOSHU will DECIDE WHO is or is NOT TRUE to COMMUNITY! WHO is a SERVANT of YAH or NOT! (Mal.4:2) Though HE come at a time and a manner the PEOPLE do NOT EXPECT and for which they are UNPREPARED and to be proven FAR FROM WISDOM .. EVEN SO, COME LORD YEOSHU the KURDI! Rev 22:12 And, BE WATCHFUL! I come SUDDENLY/ UNEXPECTEDLY; and My REWARD is WITH ME, to give every man according as the THOUGHTS and INTENTS of HIS HEART … shall be. Rev 22:14 Blessed are they that DO/ PERFECT HIS commandments, that they may have right to the tree of life, and may ENTER in through the gates into the CITY. Rev 2:29 He that has an ear, let him hear what the SPIRIT (teaching ALL THINGS) .. says unto the CHURCHES. The peoples have had NO RESPECT for HIM who GUARDS the DOORS against VANITY, because according to them EVERYBODY SELLS “VIABLE TICKETS” unto ENTRANCE catering to WHATEVER folk want to THINK and HEAR! ISAIAH 41:21-42:4 .. 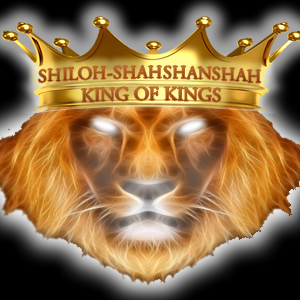 THIS VIBRATION that declares the ABSOLUTION of ALL the PROPHETS have spoken concernin SHILOH the KURDI is the ONLY VIBRATION worthy unto CONFIRMATION true to ALL YAH decreed from BEGINNING ETERNAL! All else trusted outside this EXPECTATION is a FALLEN VIBRATION giving sanction to PRIDE after VAIN SELF-RIGHTEOUS DEVIATION/ CONFUSIONS/ WARFARE! ISAIAH 41:21-42:4 .. The RULERS will NOT be able to DECLARE FOUNDATION nor EXPECTATION! Dare men say they who will RUN for COVER be their SAFETY? (Revelation 6:12-<7:2>-17). However the MESSIAH-SHILOH will bring to bear ALL that was FORETOLD of OLD and even NEW THINGS shall HE declare which YOUR RULERS never TOLD! ISAIAH 43:18-19, 44:20-45:6, 45:21-22. HEAR THIS! NO OTHER TESTIMONY can be the TRUE CONFIRMING SEAL of ALL the LAW and the PROPHETS! For the APPEARING of SHILOH, is the EXPECTATION of the FAITH! To establish a COUNTERFIET RELIGION unto its DIABOLIC THRONES and PULPITS, ROME schemed ABOLISH THIS GREAT EXPECTATION so to IMPRISON a WORLD! The EXPECTATION of the AWAITED ONE is the PROMPTING of MANKIND in HUMILITY before YAH unto the HOPE of PERFECTION unto SALVATION! HEAR THIS! ALL YOU WHO SEEK THE FALSE DOCTRINE OF RAPTURE SO AS TO ESCAPE THE DAYS OF WRATH WHICH WILL MANIFEST KINGDOM YAH!! FOR IN NOT KNOWING THE SECRET CITY PROPHECIES AND IN NOT DISCERNING THE BIBLICALLY SURE TESTIMONY CONCERNING THE ONE CALLED “MORNING STAR” THEY HAVE BELIEVED A LIE! The ACCEPTANCE of the GOSPEL OF SHILOH-KURTI is an ABSOLUTE REQUIREMENT! To presume the SAVIOR has NO KNOWLEDGE greater than ALL OTHERS, is to DENY HIM as SAVIOR! That MESSIAH brings what OTHERS could NOT, is HIS AUTHORITY as SAVIOR! WHOEVER thinks OTHERWISE, that one is a DECEIVER against ABSOLUTION! The LEVEL of DARKNESS in IGNORANCE unto CONFUSION this world TRUSTS is SO DEVASTATING, that IF the MOST HIGH does NOT GRACE MAN with HIS HELP, and if MAN is NOT WILLING to HUMBLE RECEIVE DISCIPLINE .. MAN has NOT even a SNOWBALL’S CHANCE in HELL to AWAKEN to TRUTH NECESSARY unto ACCEPTANCE unto COMMUNITY! I THANK THE MOST HIGH YAH FOR EVERY EAR THAT HE BRINGS NEAR! UNTO HIS MERCY, BE MIGHT, MAJESTY, SOVEREIGN HONOR and PRAISE ALWAYS! Hallelu’YAH! Mat 16:13 When Yeoshu came into the coasts of Caesarea Philippi, He asked His disciples, saying, Whom do MEN say that I the SON OF MAN am? 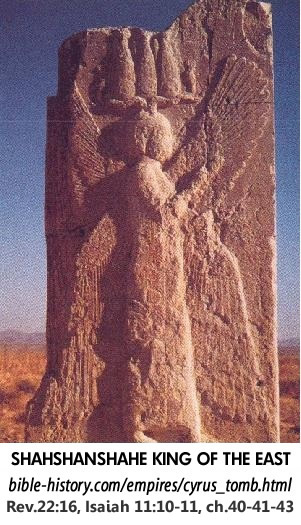 Mat 16:16 And Simon Kepa answered and said, Thou art the KURDI, the Son of the living YAH. Mat 16:17 And Yeosh answered and said unto him, Blessed art thou, Shimon Baryona: for flesh and blood hath not revealed it unto thee, but My Father which is in heaven. Mat 16:18 And I say also unto thee, That thou art Peter (a pebble), but upon THIS ROCK FOUNDATION which as the GIFT of the FATHER YOU HAVE REALIZED, I will CONFIRM, SEAL, GATHER OUT FROM THIS WORLDLINESS, MY CHURCH; and the gates of hell shall not halt THIS EVENTUALITY of EVERLASTING TRUTH. Mat 16:19 And I will give unto thee the KEYS of the kingdom of heaven: that whosowever YOU shall bind (in an oath unto MY righteousness) on earth, shall be bound a servant unto heaven: and whatsoever YOU shall loose on earth shall be freed unto heaven. Man having seen for ages the ONLY the LESSER VIBRATIONS of CONFUSION and WORLDLY CONTENTIONS, has been bewitched to presume what is yet only flickering FLESHLY DIVERSELY PROVOCATIVE DARKNESS as if the EXCEEDING LIGHT! (Isaiah 8:16-20>-9:8, 50:10-11, Yacob 1:1-9>-1:17) The mere reading or hearing of a PRINTED WORD is NOT ENOUGH! For MAN after the power of his FLESH does NOT YET GRASP at the FULL VIBRATIONAL LEVEL necessary to in hearing a WORD, be in all the height, depth and breadth of its understanding, TRUE! (John 16:7-<12>-25, 14:15-27, 17:9, Yacob/James 1:1-8>-17, Acts 1:1-6) Seek after ALL that is DIVINE WILL that indeed you may be BORN AGAIN! I APPRECIATE YOUR SUPPORT THIS MINISTRY! HOW MUCH MORE PRECIOUS THAN ALL ELSE IT THAT WHICH REVEALS RATHER THAN HIDES SAVING TRUTH! I THANK THE MOST HIGH YAH FOR EVERY EAR THAT HE BRINGS NEAR! UNTO HIS MERCY, BE MIGHT, MAJESTY, SOVEREIGN HONOR and PRAISE ALWAYS! Robin. I strongly advise again that you READ the scriptures at ISAIAH 40:1-<27-41:5, 41:21-<25>-42:4, Luke 1:67 & 1:78, 2Kepa/Peter 1:19-21, Zechariah 3:8 & 6:12, Jeremiah 23:1-5 .. knowing that the word BRANCH in hebrew relates to that which suddenly “springs forth”, likened also to the SUDDEN ARISING of the SUN … that casts out ALL the DARKNESS, revealing the EXCEEDING LIGHT that a WORLD would OBSCURE, and EXPOSING ALL who would LIE or be TREACHEROUSLY NEGLIGENT so as to HIDE the TRUTH from mankind! A very serious READ of the articles “EARLY CHURCH ORIGIN and MUTUAL EXPECTATION”, and “PROPHETIC PROOF” and a listen amongst the many archives at http://www.blogtalkradio.com/edy1 will with prayer explain much. The titles “MORNING STAR” ie. “KING OF THE EAST” ie. RIGHTEOUS ONE likened to the RISING SUN” .. are of course all figurative, an allegory … as of course you should by now, know.